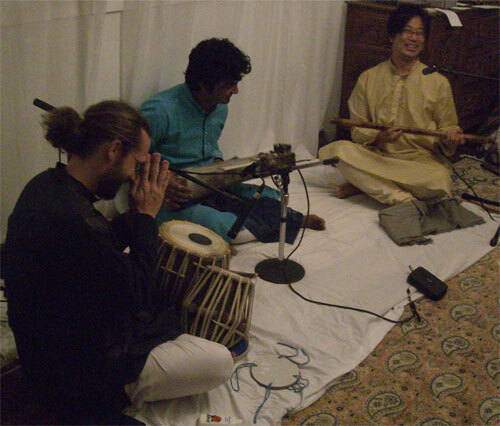 A live recording of Sangeet Mishra (sarangi), Taro Terahara (bansuri) and Shen Flindell (tabla) at a mehfil in Brisbane on 19th April 2009. These tracks are a mixdown of an ambient room microphone and line recording from the amplification system. 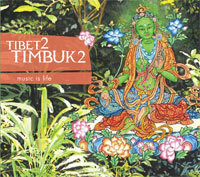 Audience comments on the quality of the music are evident and add to the atmosphere of the recording. Thanks to DivineArts.net for the line recording. Raga Charukeshi at 83 minutes is too long for an audio CD, and so this recording is available for download only. 2009 Australia tour details here.